Our first destination was the town of Cambridge to break up the journey to Rotarua. 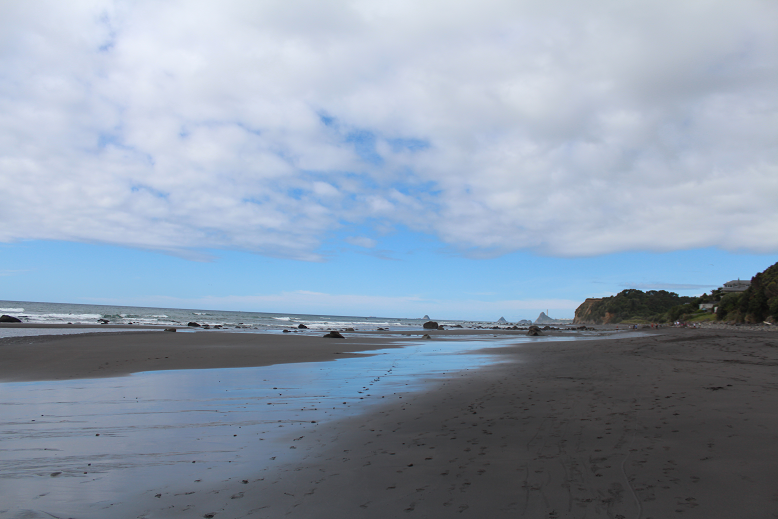 It is a two-hour drive from Auckland and not too far from Hamilton. 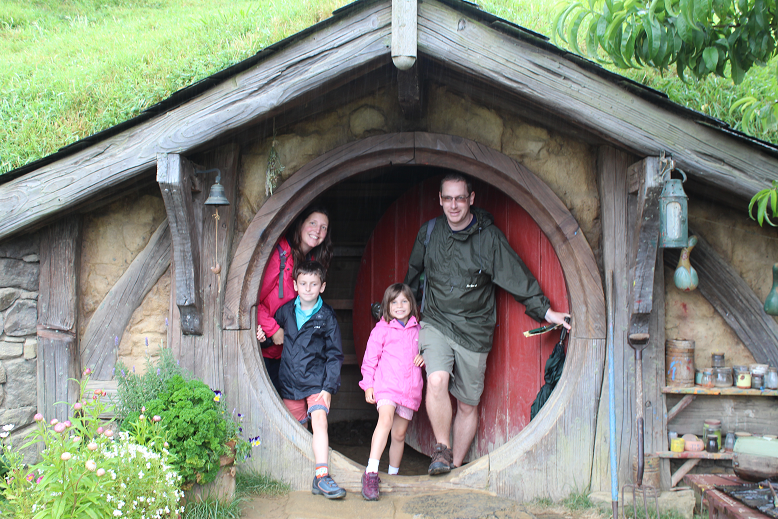 Most people stay here to visit the nearby Hobbiton, but we were not that well organised and there were no slots left when we were here. Cambridge Motor Park would be our home for the night. It would also be the first time we had pitched the tent. We shouldn’t have worried. The tent was simple and quick to put up!! There was a tiny park on site. Despite its size, the kids played for hours while we cooked dinner. When the light faded, we headed for the tent, which was just about big enough for the four of us, and watched a movie on the laptop before bed. 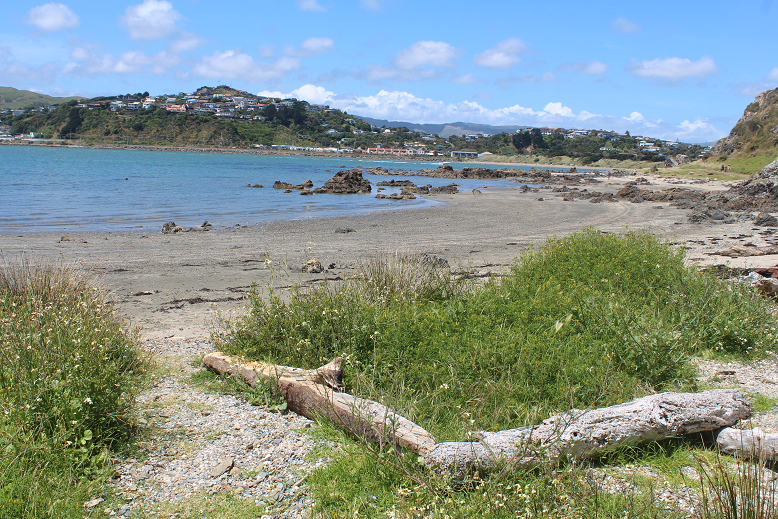 An hour drive away is the tourist town of Rotarua. Mum had been fourteen years previously but it has grown since and lost a bit of its charm. Our first stop was The Warehouse to purchase some pillows along with pots and pans! 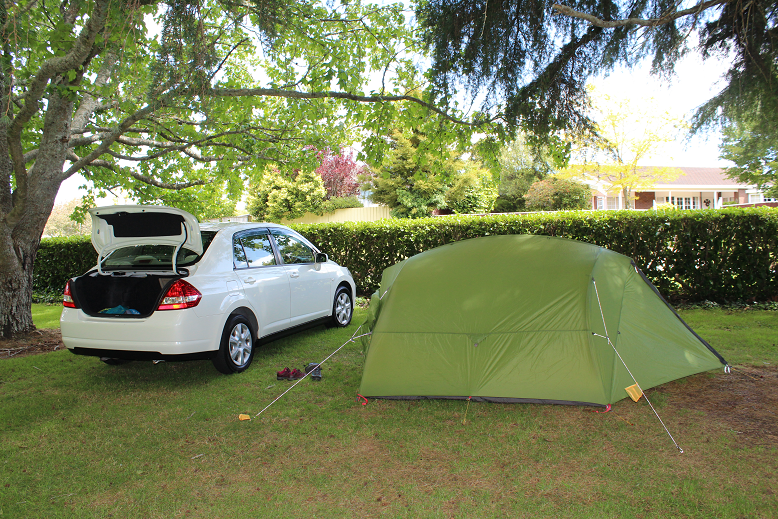 After lunch at the food court we checked into the Top 10 Rotarua Holiday Park and pitched our tent. The facilities at the park were amazing. A nice, big, clean kitchen with indoor and outdoor seating would be great for dinners. There was a swimming pool, two mineral pools and a kid’s playground. Once again, the kids were happy to run off and play for hours in the sun. Mum and the kids then had a dip in the pool before Mum bathed in the mineral pool. 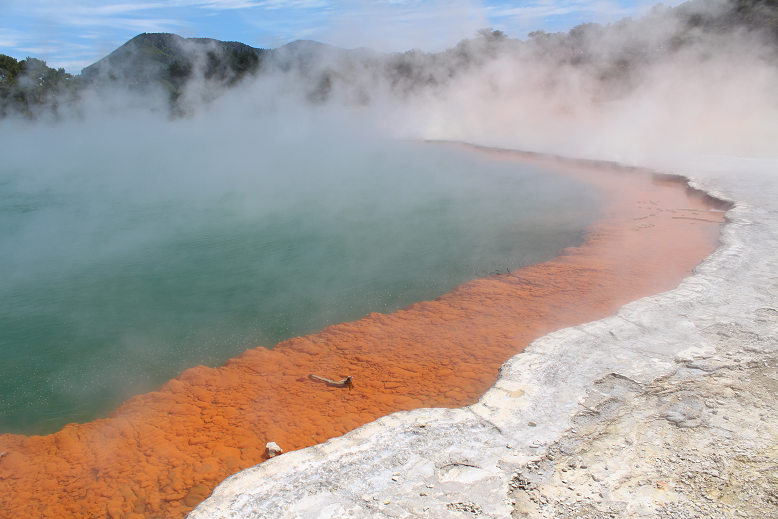 There is a lot of geothermal activity around Rotarua and the eggy smell in the air from all the sulphur reminds you of this! After the first night of camping we drove to Waiotapu Thermal Wonderland Our first stop was the Lady Knox Geyser where a short talk was followed by the ranger triggering an eruption of the geyser. The kids loved watching the water spray high into the air. From there we entered the main park and began walking around the trails. There are many places along the route where the geothermal activity makes the scenery look like it is from another world. No surprise then when we were told that NASA scientists have conducted tests here as it gives clues to how the earth was formed and may help when exploring other planets. After a bite to eat in the cafe we made our way back to the holiday park. The kids took off to play with their new-found friends in the playground and Mum and Dad relaxed in the sun. The weather was not so good for our last full day in Rotarua. It rained for majority of the day so we worked with the kids inside and didn’t do too much else. In the evening, we were being picked up to be taken to Tamaki Maori Village. 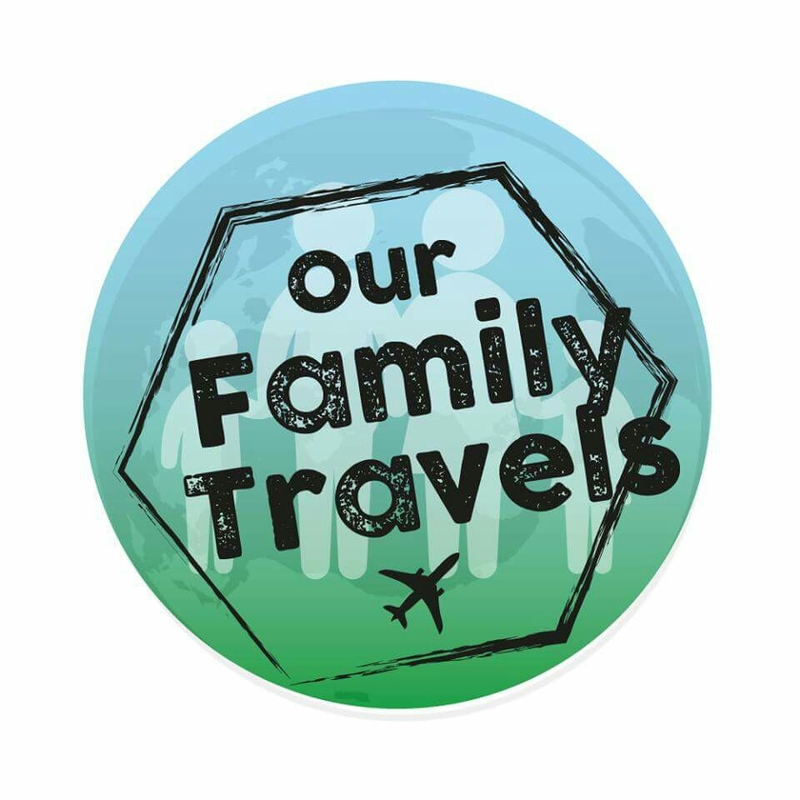 A lot of people from the holiday park were going too, including the families of the kid’s new friends. All the children headed to the back of the bus to talk and play as we headed to the village. A random man from the bus was selected to be our ‘chief’. He, alongside two other chiefs would face the Maori welcome. The rest of us stood behind and were told to stay still and not to smile or laugh at the traditional greeting. A canoe made its way down a short river to us and Maori warriors, instructed by their chief, performed their intimidating welcome. One of the selected visitors’ chiefs picked up the fern placed at his feet to indicate we were friends. Following this we were allowed into the village. 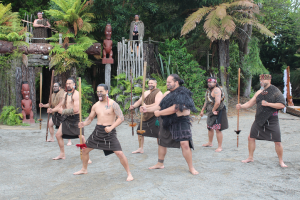 The village was split into different areas, each explaining a different part of Maori culture. First for us was the Haka, the traditional war dance used to greet and intimidate enemies. Dad and the other men were invited down to learn and perform a Haka. After this we learnt about village and boat life before our daughter had a go with the Poi balls. Mum then got involved with a traditional village game. Once we had learnt all about the village life we were taught about Hangi cooking. The food is placed under ground with hot rocks and left to cook. While the staff prepared the Hangi we were treated to some performances. The hangi buffet was next and was very tasty (Mum and Dad went back for seconds). The evening ended with song. The bus home was also a highlight as the driver had us singing and keeping up the entertainment.